First off, Happy Mother’s Day to you and yours! Suddenly there is much ado about Hero Petz, written by Dale Mettam and illustrated by Juan Fleites. First off, a quick recap from the original series: “Even as the evil Itachi Clan of ninja weasels tightens its grasp on Peludo City, six heroes — okay, five heroes and a crazy Monkey — stand ready to defend the innocent and fight for justice. 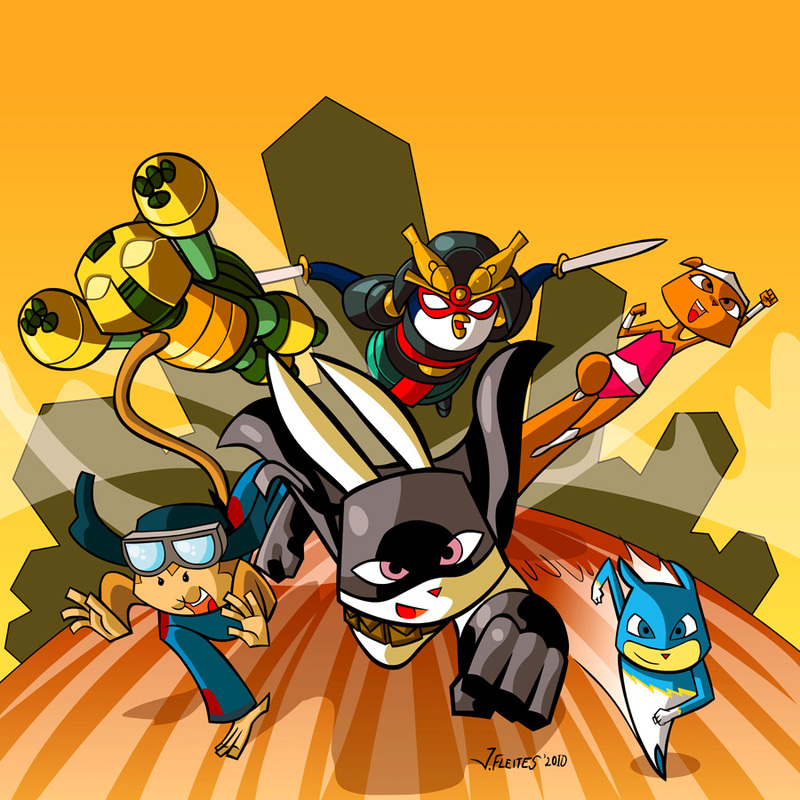 El Conejito the Rabbit; Wonder Squirrel; Steel Shell the Turtle; Sensei Penguin-San; Kapitan Brüllaffe the Monkey; and Golden Hamster are the Hero Petz! Together, they take it upon themselves to keep watch over the city and protect the innocent!” First off, this June Stan Lee’s Kids Universe is re-releasing the original 80-page graphic novel (from 1821 Comics) in trade paperback. Also, there’s a video trailer for a new Hero Petz video game — as well as several fan reviews — up on YouTube. This test is to prevent automated spam submissions. Ed-otter of In-Fur-Nation. Califur programming director. Co-founder of ConFurence.